I remember when I was a wee lad we got a day off from school every February for President’s Day. Each year our day off would be preceded by a couple weeks of studying up on various Presidents and a cool class project. Fast forward a few years and President’s Day turned in to President’s Week and we got a whole week off from school, pretty sweet! Please visit our Etsy shop to see more of our Presidential tributes. 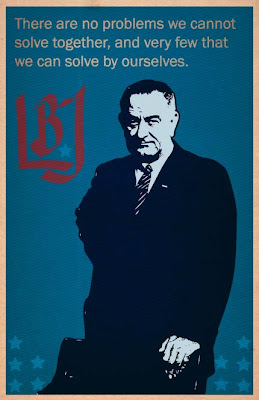 Have a favorite President that you don’t see listed? Don’t hesitate to contact us and we’ll see if we can come up with something. Hail to the chief, Happy President’s Month! Afternoon readers, today we have some cool news to share. 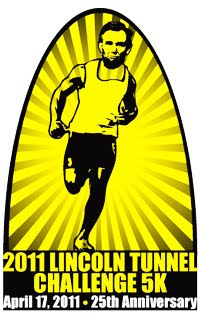 Earlier this week we found out that our tshirt design for the 2011 Lincoln Tunnel Challenge 5K was selected as a quarter finalist! The race will be held in April and is put together by Special Olympics New Jersey. The winning design will be selected by voting, and will ultimately be printed on the tshirt that will go to all race participants. 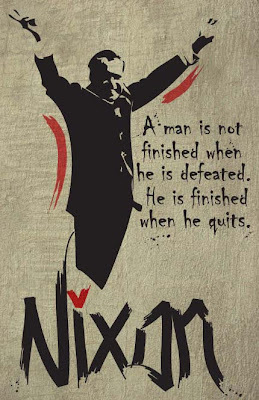 As you can see in our design, Abe is making his way out of the tunnel but he needs your help. 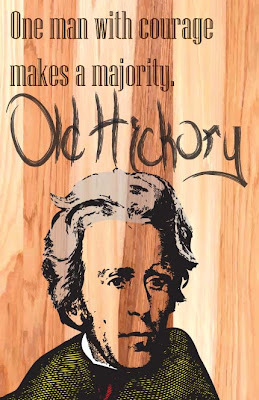 Please click here to vote for our design and help Abe find his way. He would be very appreciative, honestly. You can vote every four hours as many times as you like, so remember, vote early and vote often. The quarter finals round of voting ends Monday 2/28 at 12PM EST, we’ll keep you posted. Thanks for your support! Flash back a few decades. You tell someone that you are going to run and then jump, soar roughly 13 feet in the air, and throw a ball through a goal that is 10 feet off of the ground. What would they say? Well, their first reaction probably would have been laughter, then they would probably call you crazy. This week we recognize the crazy. This week we pay tribute to the imaginative high flyers who took dunking to a new level. With All-Star weekend drawing to a close, I figured what better time for a video tribute to some of the game's high flyers. With a long and distinguished list of high flyers including the likes of Dominique Wilkins, Vince Carter, Larry Nance, Spud Webb, Dee Brown, Jason Richardson, Dwight Howard, Nate Robinson, and Andre Iguodala, we had a rough time deciding who to include in the tribute so we took inspiration from last night's Sprite Slam Dunk Contest. For those who didn't have a chance to see the contest, it was excellent. Each dunker brought their A game and put on a great display of athleticism and creativity. At the end of the night Blake Griffin beat out Javale McGee in the voting but we think it could have gone either way (personally I think the choir pushed Griffin over the top). While the two finalists put on quite a show my favorite dunk of the night was performed by Serge Ibaka. Ibaka's first dunk of the night added a new level of awesomeness to a Slam Dunk Contest classic, the foul line dunk. While many have performed the dunk, the best recognized examples come from Dr. J and Michael Jordan. So what made Ibaka's dunk so sweet you may ask; well, check out the video, Ibaka was fully behind the foul line on takeoff(I think it was the shoes)! High flyers, thanks for confirming that imagination is indeed more important than knowledge, we salute you. Happy Sunday! With that being said, we figured it's time to put our 2011 Senioritis Remebers Famous Seniors wall calendar on sale! 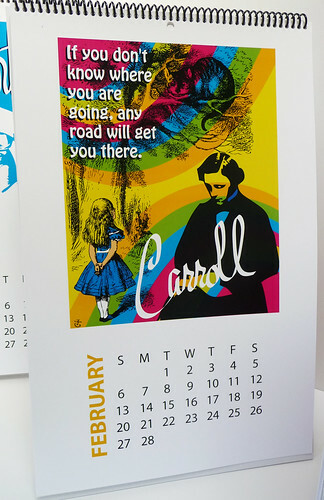 Our calendar is currently on sale for $65 (normally $85), that's over 20% off and we include free shipping. 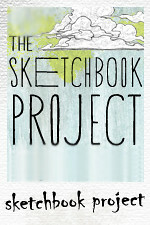 More info about our calendar can be seen here. It would appear that good things do, in fact, come to those who wait after all. Happy Sunday! My sister found out about the Lincoln Tunnel Challenge 5K run about a month ago and after checking out the details dicovered that to help celebrate the 25th anniversary of the event, the organizer, Special Olympics New Jersey, is holding a contest to design a tshirt for the run. Abe Lincoln? Tunnels? New Jersey? Who could ask for a better combo? 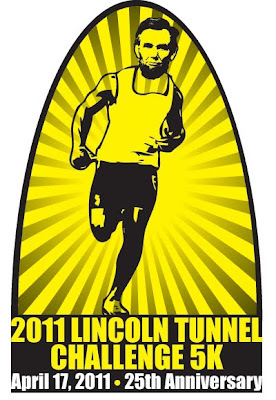 We figured let's give it a shot, so we just submitted our design for the 25th annual Lincoln Tunnel Challenge 5K earlier this morning! We decided to go with an arms pumping image of Honest Abe emerging from an arch(symbolizing his escape from the tunnel). 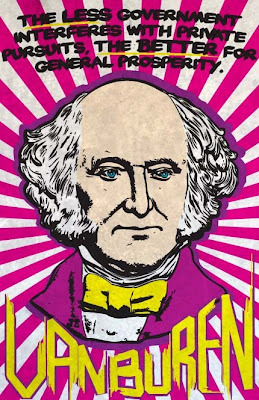 As an aside, this is what our 16th President actually looked like. He was just rarely seen in training and was more often photographed in a suit and hat. We chose to keep things simple and go with a yellow and black color combo as the design will be on a white shirt. To tie things together we included an image of the state of New Jersey in yellow on Abe's shorts. 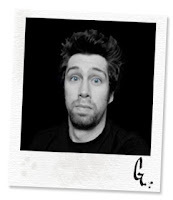 Google Analytics - when do people visit my site? Senioritis content. Powered by Blogger.